This is the perfect combination of a beloved classic and a summertime snack. Considering that Australia can be compared to the surface of the sun at the moment, I’ll be trying these myself. As an added bonus, there’s no bread, so there’s less carbs! 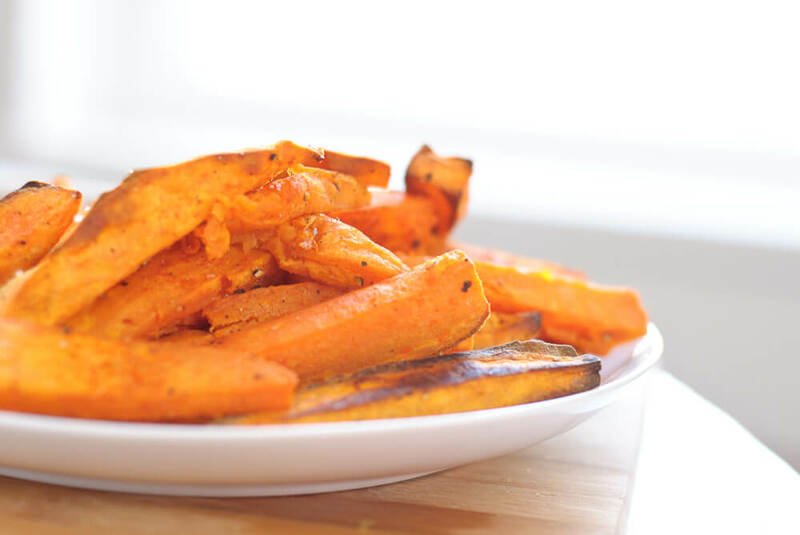 Sweet potato fries are much healthier than the regular potato variety. Just make sure they’re baked and not fried. The lean beef and low fat corn tortillas make this snack a healthy snack for kiddos. I have to disagree with Martha on the guacamole, though. Guacamole is a perfectly healthy addition, particularly if it’s home made. Avocados contain good fat that’s beneficial for young and old bodies alike. Do you want to give the kids a treat and not worry about the sugar content? Make your own ice cream! You get to control the ingredients, as well as the amount of sweetness that goes into it. The above ‘honey macadamia gelati’ is just one of the many delicious home made recipes. I also recommend avocado ice cream with fresh strawberry coulis. It’s healthy and insanely delicious, trust me! The great news is that many of these recipes don’t even require an ice cream maker! This is the same as above, but without the dairy. If you’re in a hurry, simply blend a small amount of juice and water with the fruit of your choice and freeze them in popsicle molds. Voila! 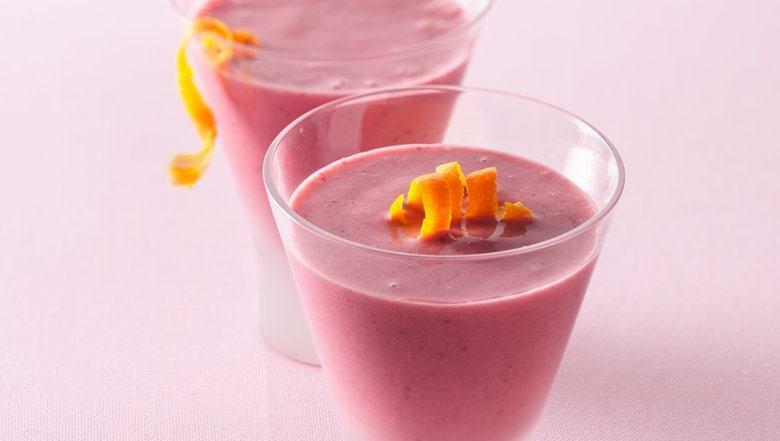 This is a fantastically healthy alternative to milkshakes! I’d also recommend sneaking in some undetectable vegetables, like avocado or spinach. This simple and crunchy snack proves that you can win friends with salad. Apple pie and popcorn, together at last! Also, this snack is low on sugar and sodium! Just because McDonald’s is bad for your kids doesn’t mean that all burgers must be. These delicious mini turkey burgers make both a healthy and fun snack that children actually want to eat. 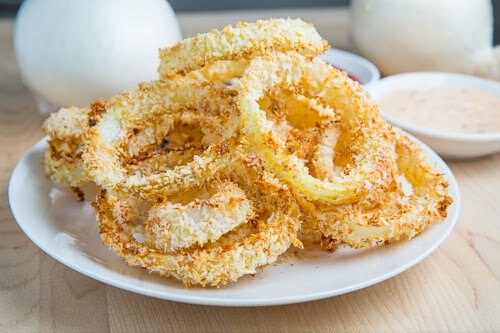 No recipe required for this easy snack. 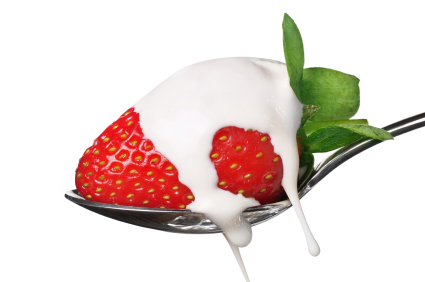 Simply dip fresh strawberries into vanilla yogurt. It’s a delicious treat! Who said fries couldn’t be green and healthy? Not only are these super fun and healthy, they’re also a mild and fantastic gateway food into the world of curries. This is most definitely the one ring to rule them all. Plus, there’s no oil! These cake pops may be gluten-free, grain-free, and dairy-free, but they’re certainly not free of tastiness! A fruity snack that will be the apple of your kids’ eyes. Do you want to go even healthier with this recipe? Skip the bread crumbs and serve grilled chicken instead. I know, another boat shaped snack. My solution is to make both and declare a vegetable war. Also, these looks so delicious and fun–a perfect incentive for kids. Why have boring old sandwiches when you can have monsters? Ham and cheese has never been more fun. I recommend using multigrain and wholemeal bread to make this a healthy snack for kids. Jazz up boring old fruit by turning them into health lollipops! If it’s a particularly hot day, freeze those bad boys down beforehand. 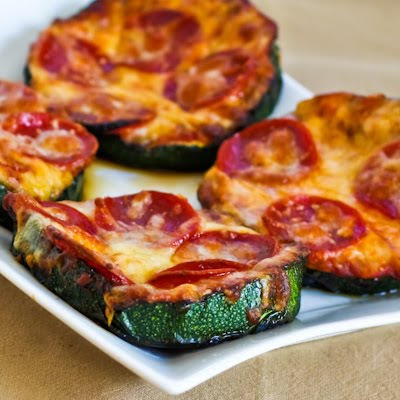 This has all the fun of pizza without all of the bread! Everyone knows that the toppings are the best part!